Come and see the next generation of commercial photographers primed to take on the industry. 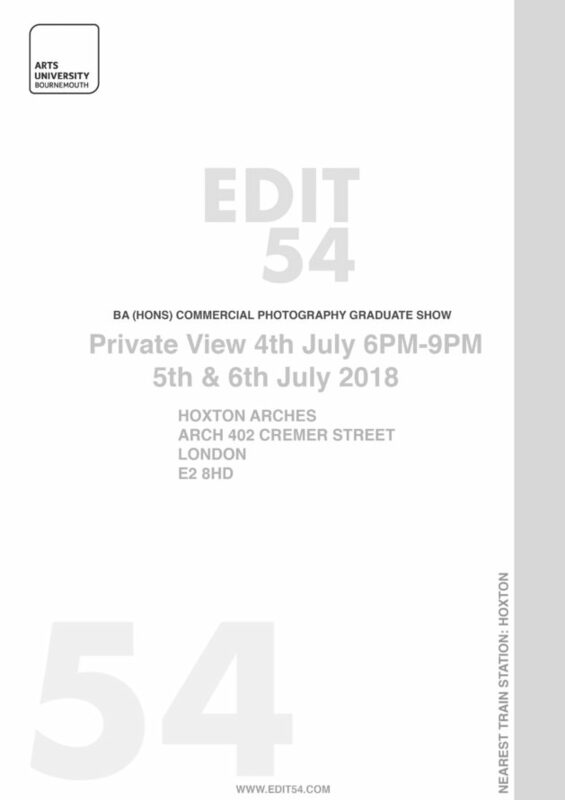 The 2018 Graduate class of the Arts University Bournemouth’s final exhibition will take place at the Hoxton Arches from the 4th to the 6th of July 2018. All are welcome to attend to see this countries latest up and coming talents. Private view on the 4th of July, 6pm – 9pm. Open on the 5th of July from 10am – 6pm. Open on the 6th of July from 10am – 1pm.